Please welcome Denise Leitch, author of today's awesome guest post. “Bilingual what?” was the first thing that came out of my mother’s mouth when I was informing my parents that, as a family, we had decided on bilingual homeschooling for our children’s education. I just laughed - I may have also rolled my eyes - switched to Spanish, and started desde el comienzo. 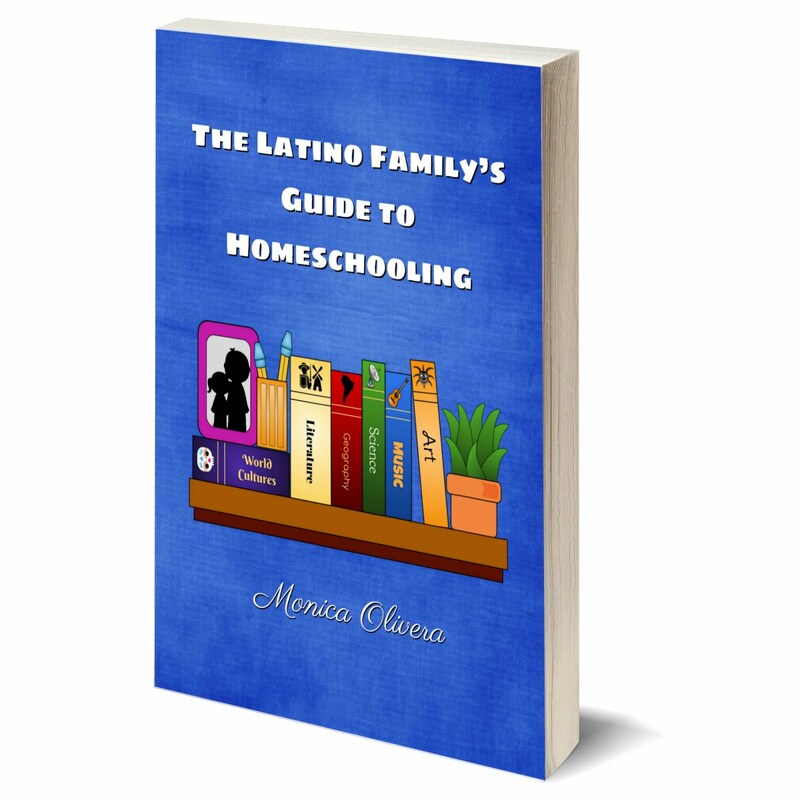 I began to explain what homeschooling is and how it works to my Chilean parents. To me, for cultural and personal reasons, it is important to have my parents’ approval and support with the most important decisions in my life. Even though I am a grown, independent woman, I am from Chile and due to culture and my family’s ways, having their support is truly valuable. 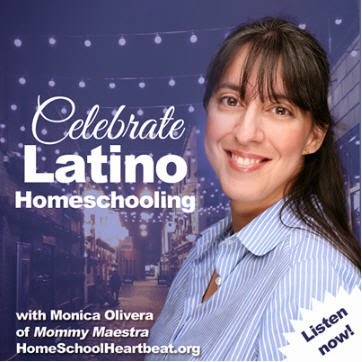 I knew that homeschooling would not be their first choice, nor their most desired option for their grandchildren (due to ignorance on the topic more than anything else), but I did not let this be an obstacle in making my final decision on bilingual homeschooling. 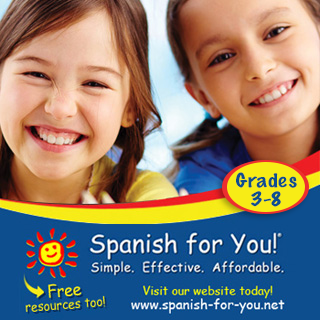 Are you considering bilingual homeschooling for your children? If so, what is stopping you? What obstacles are you facing? Why haven’t you taken the plunge yet? Yes, I know, it is not an easy step. To be honest, I can tell you that I had quite a few rational reasons why I should not homeschool. So by no means was it an easy decision for us either. Bilingual homeschooling was the right choice for us, I know that now. I want to share with you five tips that may help you arrive at your final decision as you consider this option for your family. 1. Be honest with yourself and find your own reasons and motivations for choosing bilingual homeschooling. Bilingual homeschooling should not be picked because it is the new trend nor because it is what so-and-so advised you to do. Yes, bilingual homeschooling is pretty cool. I have to admit it, but it is not easy and it is definitely something you cannot ‘wing.’ This is coming from a person who has been teaching foreign languages to young children for over 10 years and I still think it takes a lot of planning and dedication. One of the questions you should ask yourself is: What are your reasons and/or motivations for considering bilingual homeschooling? Whatever they may be, they need to be strong enough to propel you through good times and tough times. 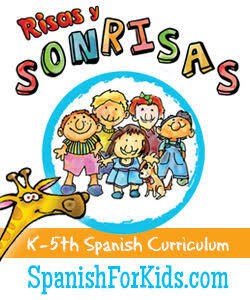 I can assure you that once you have your own reasons why you are choosing bilingual homeschooling, you will succeed. So, establish your goals and go for it. From my perspective, if your ultimate goal is for your children to be multilingual and multicultural, then bilingual homeschooling is definitely a great option for your family. What are yours goals, motivations, and reasons for choosing bilingual homeschooling? 2. Don’t drown on all the information that is available ‘out there.’ Do what works for you. Find your own unique rhythm. Too much information can be overwhelming, do not let it get to you! And definitely, do not let it stop you. Know what resources are available, but do not depend on them nor let it overwhelm you to the point where you no longer want to try it. I say this because I know the feeling and I still do. I see what other families are doing, read about their exciting projects, trips, ideas and I think to myself, I am not capable of that. Well, that is because I am not them! I am me and that is OK. Our family has its own rhythm. It works for us. Do what works for you! When you add another language to your curriculum, it gets a little trickier, but remember, there is no right or wrong. Try some of the tips you find online, in books, podcasts or wherever, but do not get discouraged if they do not work in your home. There are many resources and philosophies out there. But again, the bottom line is, do what works for you! As a foreign language instructor to young children I have had to do this on a regular basis for the past 10 years! Find resources that will match your rhythm. 3. Find the right support. You are not alone. Even though there are many homeschooling groups and tons of websites about it, you still feel alone once you take the first step. But guess what? You are not alone! Just remember that. I have joined a few homeschooling groups through Facebook that have been the perfect support. To be honest, I have yet to truly participate and collaborate, but knowing that they are there for me if I need help and support is just what I need. There are many wonderful websites such as this one that will provide you with all kinds of information and support. Take action and find the support that will match your needs. 4. Embrace the concept of learning together. Make mistakes. It is OK to admit that we do not know everything to our children. Learning together is a beautiful process and a powerful one. And in terms of planning, I feel that as long as I stay one step ahead… we are good. As we considered the idea of homeschooling, reading and writing in English was a big obstacle for me. After 15 years of living in the United States, I still make mistakes on a regular basis and I do not know all the phonetics and grammatical rules there are to know. I felt weak and incapable of teaching our children the ‘right way’ if I did not master the language myself. Man, was I wrong!! To my surprise, my children seem to enjoy this side of me that makes mistakes and needs assistance. They gain lots of pleasure when Mami has a hard time pronouncing a word in English. Not to mention that they feel empowered by helping me and teaching me! They become my mentors. What a beautiful and exciting moment that is. I welcome it and use it to understand in more depth how they feel when they are being corrected and guided as I teach them other languages and subjects. As you adventure into bilingual homeschooling, you will make mistakes and you will mispronounce things. Should this stop you from doing it? No! Learn from your mistakes together, have your children involved as much as possible and allow them to be active participants in the learning process. Empower them. Allow them to shine. Finally, I should note that if there is something I do not know, we search for the answer together. In addition, if I am suppose to teach them about something I am not familiar with, I make sure to learn about it before I sit down with them and work on it together. I just try to stay one step ahead when possible so I do not get too overwhelmed. Learning together is very powerful, embrace it and enjoy it! But most importantly, do not be afraid to make mistakes. 5. Deciding on the target languages. Growing up in a multilingual environment is one of the best gifts we can give our children. I truly believe in this statement. If you agree with me, then bilingual homeschooling is definitely something to consider or even try in your home. Some of you may not be fluent in the target languages. Don’t let this stop you. Some of you may not know how to break it down and teach it to your young children. Some of you may not know what languages to focus on. No matter what your obstacles are if you have a great goal in mind for your family and you feel passionate enough to go after it and attain it, I say there should be nothing to stop you. Take the plunge. You will see that step by step, one day at a time, you will make it. This is a wonderful adventure and a beautiful journey to enjoy as a family. If you are a book worm like me, here is a list of books to get you started. This is the same list I recommend to all the parents of my students who -like you- have the goal to raise multilingual children. If you are more of a visual person and like to watch informative videos or look at colorful infographics about raising multilingual children, here is some information I have gathered in my ‘Benefits of Multilingualism’ board on Pinterest. If you are wanting to see a list of useful links all about bilingual parenting and multilingual education, click here. Finally, I welcome you to visit my site for supplemental resources. On a regular basis, I post about what I am doing at home and in the classroom. And recently, since we took the plunge, I have also started sharing our bilingual homeschooling adventure. 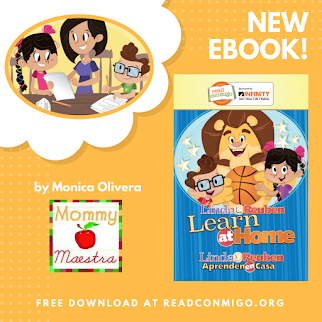 I can only hope that these resources will help you (1) determine your goals, motivations, and reasons for choosing bilingual homeschooling, (2) find what matches your rhythm, and (3) inspire you to take action and find the support that will match your needs. Denise Leitch is a devoted mother of two and an energetic educator who specializes in early childhood and elementary foreign language education. She believes in the power of collaboration and lifelong learning. Her goal is to help, motivate, and inspire her readers over at her blog, linguagarden.com. I love finding other bilingual homeschoolers! We school in Spanish and English with a son in 2nd grade, a daughter in 4K, and a baby girl. We love it! I am so thoroughly enjoying your blog! We are homeschooling our children too, and it is not an easy decision to make. It's wonderful that you are passing your language to your children. My mother's family, unfortunately did not share their language with my generation. I can only say a few phrases in Dutch and none in Filipino. However, my husband and I are stressing the importance of learning multiple languages to our children. There are so many good reasons learn another language these days! We are all working on Spanish together, and my eldest wants to learn Mandarin Chinese.